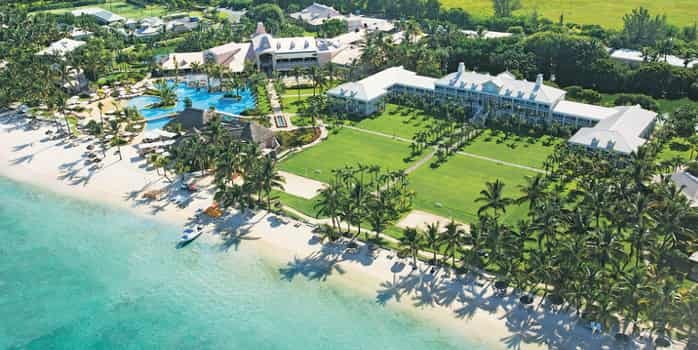 With its luxurious space and choice of activities, Sugar Beach Resort & Spa welcomes golfers as well as families and honeymooners, allowing each their very own space and pace. 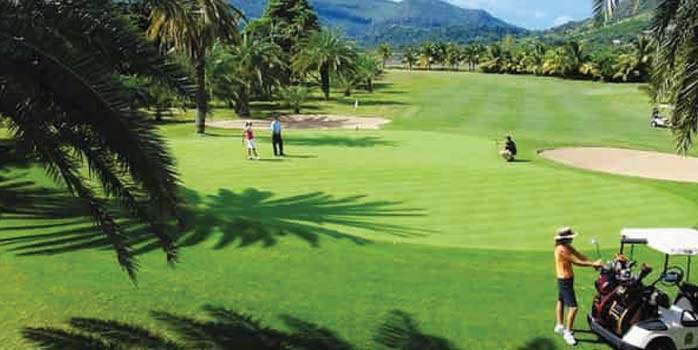 Enjoy complimentary green fees at the Tamarina Golf Club, allowing this to the ideal setting for a Mauritius golf holiday. 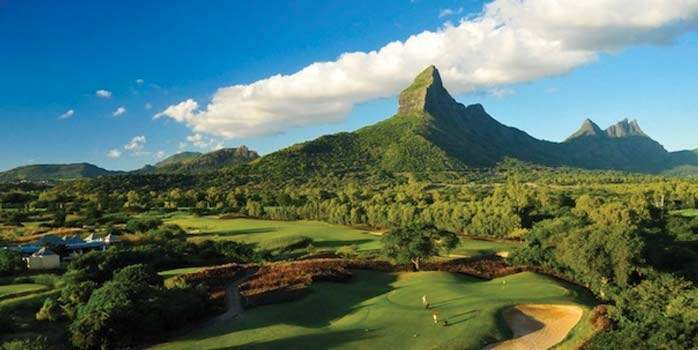 Our team at Chaka Travel will be more than willing to tailor your perfect Mauritius golf break to ensure your golf travel to Mauritius is first class. The more active can enjoy the wide range of water and land sports and activities at the fully fitted-out fitness club. 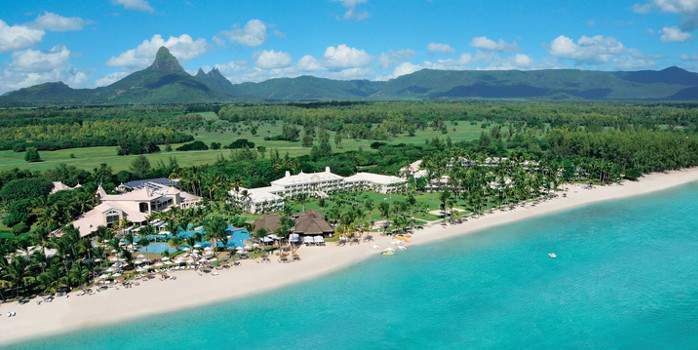 A Sugar Beach Mauritius golf holiday on the sunset side of the island allows the best of a beach holiday combined with a superb Mauritius golf holiday experience. 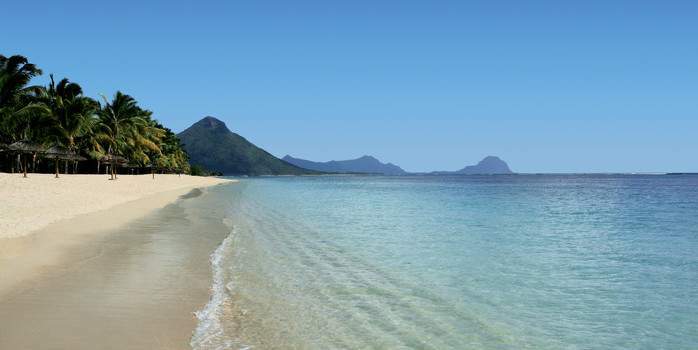 At Sugar Beach Resort & Spa, service is unobtrusive and tranquillity pervades. 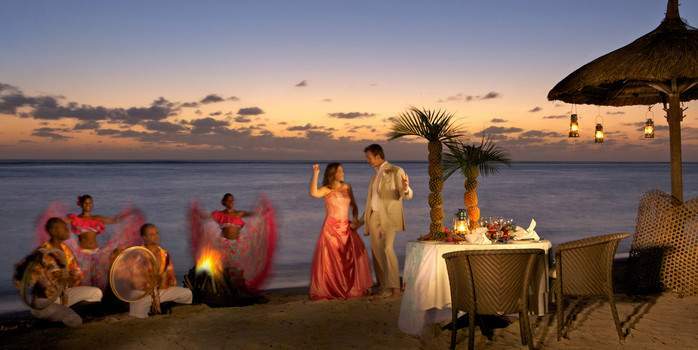 This peaceful ambience is enhanced in the privileged areas reserved for wedding and honeymoon guests. As a family or lovebirds, our guests write their very own stories. They leave with closer bonds, filled with joie de vivre. 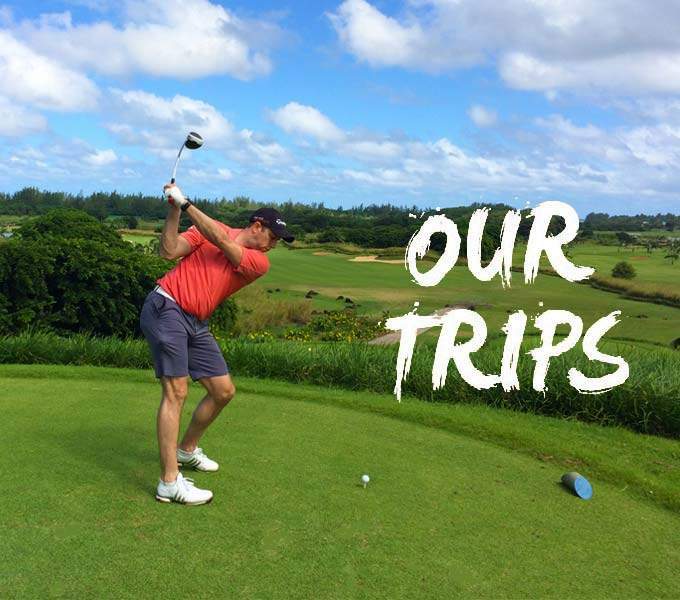 All Sugar Beach guests have free green fees at the nearby Tamarina Golf Club and the iconic island course at Ile aux Cerfs Golf Club. 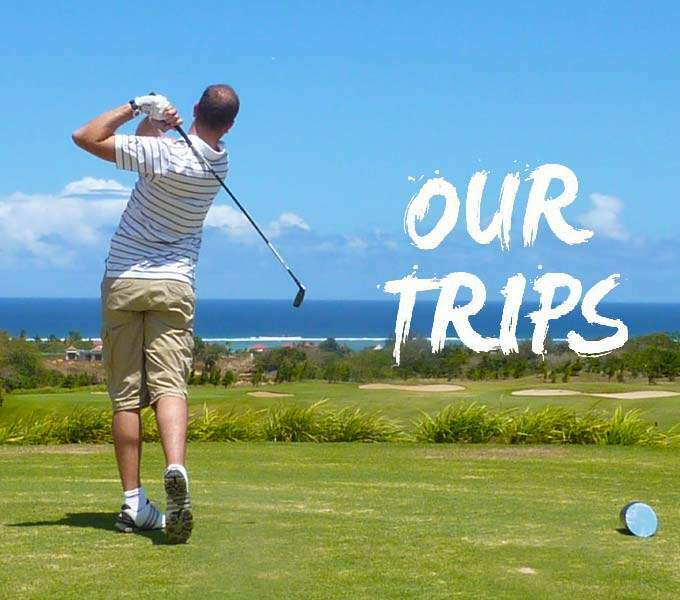 A complimentary return shuttle service is available from hotel to Tamarina Golf Club. 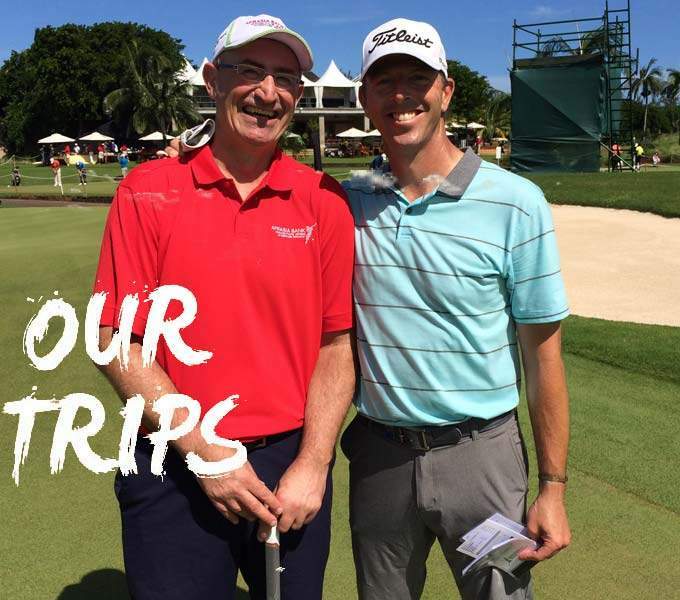 A special shuttle service is available every day to take guests to the Ile aux Cerfs Golf Club and back, at an additional charge. 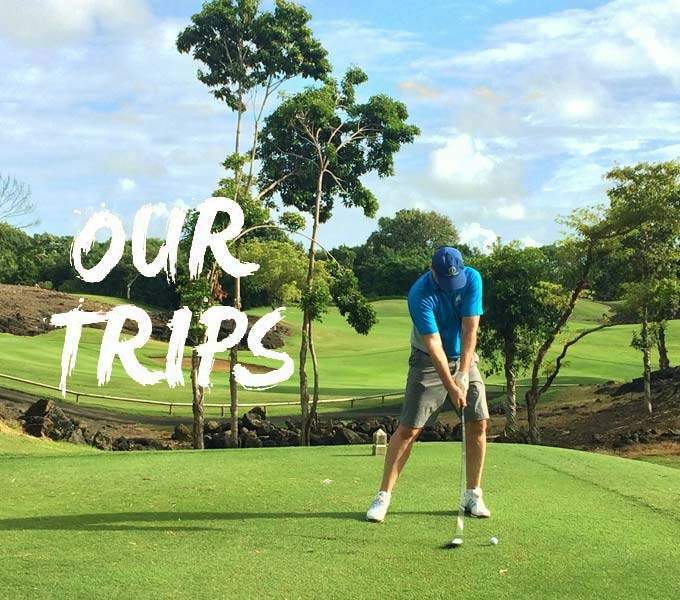 The shuttle bus will drop you off at the boarding pontoon where you will be whisked across the lagoon on a private boat to the mythical Ile aux Cerfs Golf Club, ten minutes away. Mon Plaisir Restaurant, the main restaurant featuring daily live cooking buffets and a variety of themed dinners. 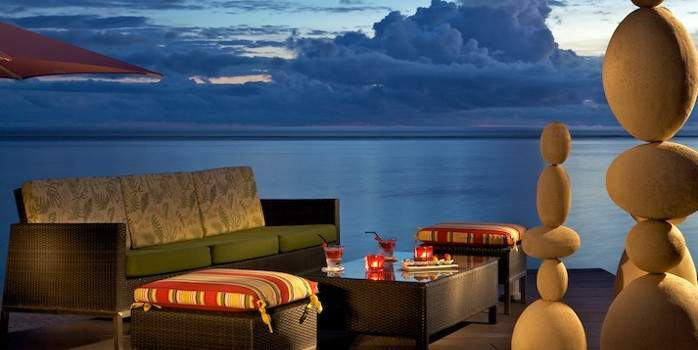 Tides, located on the beachfront, this restaurant offers a World Sea Cuisine. Open for lunch and dinner. Citronella’s Café, Oceanside Italian market-place restaurant offering light meals, baked wood-fired Pizza and salads at lunchtime and regional authentic Italian cuisine at dinner. 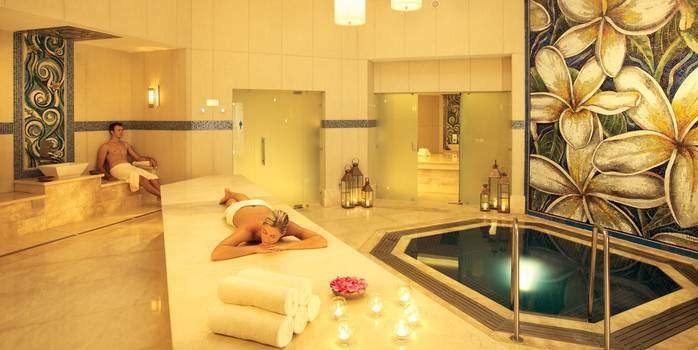 Aura Hammam, exclusive in Mauritius. Both single and couples treatment rooms. 300sqm of air-conditioned fitness centre. Two swimming pools including a 2000sqm Main Pool with a relaxing bubble pool, and the tranquil South Pool, calmer and perfect for lounging in the sun between dips in the refreshing water, and sipping delightful cocktails. 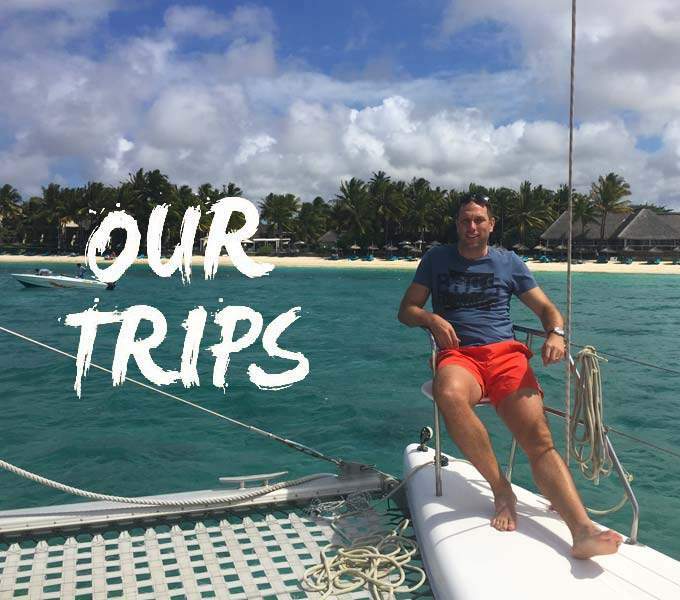 A wide variety of water sports with additional fee including scuba diving (PADI open water courses available), waterskiing, big game fishing, parasailing and full day catamaran cruises. Sun Kids Club offers a world of fun and entertainment for kids from 2-11 years. Numerous fun activities, as well as special menus, buffets and barbecues specifically prepared for the kids twelve hours a day. Children of 2-3 years old need to be accompanied by a parent or a babysitter; professionally trained nannies are available on request at a fee. The Teens Club is the ideal meeting-place for guests aged 12 to 17 and offers an array of sports activities, outings, excursions and special evenings for teenagers. 258 elegantly decorated rooms with private balcony, including 2 villa suites and 26 Beach Access Superior rooms. 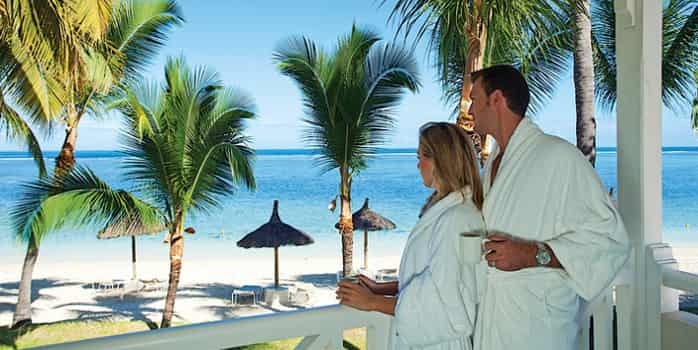 Facing the resort’s tastefully landscaped gardens, the Superior Garden View room is a short walk from the sun-drenched beach and from the resort’s vibrant social scenes. After a day out into the island, retreat to the tranquillity and elegant décor of this room to unwind. 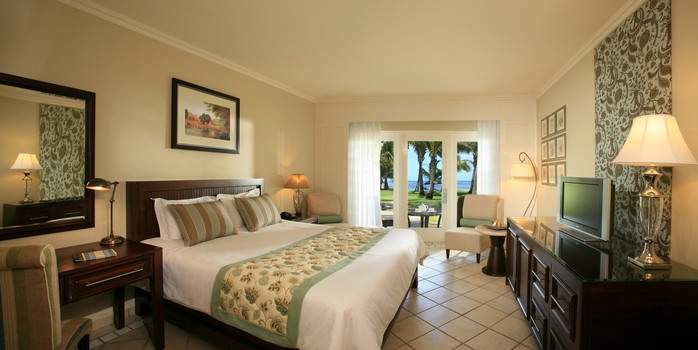 The Superior Ocean View room opens to an uninterrupted view of the famed Mauritian turquoise lagoon. Just steps from the beach, open the sliding glass doors to sunbathe on the serene and restful terrace, the perfect hideaway for travellers in search of a beachside haven. The Villa Suite is an enclave of beachside luxury. Enjoy a refined level of comfort and sit back in the inviting living room. 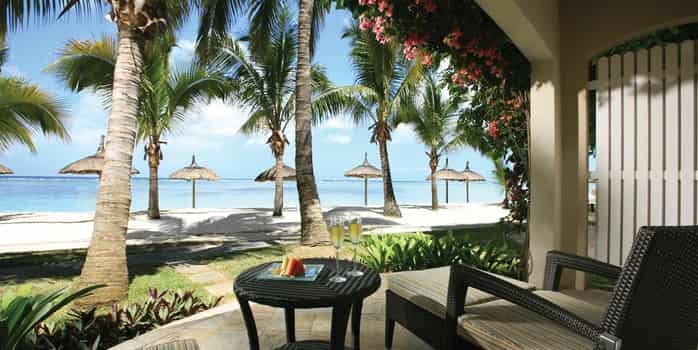 Sip a drink from the private bar before stepping out barefoot onto the white sandy beach to gaze at the famed Mauritian sunset.